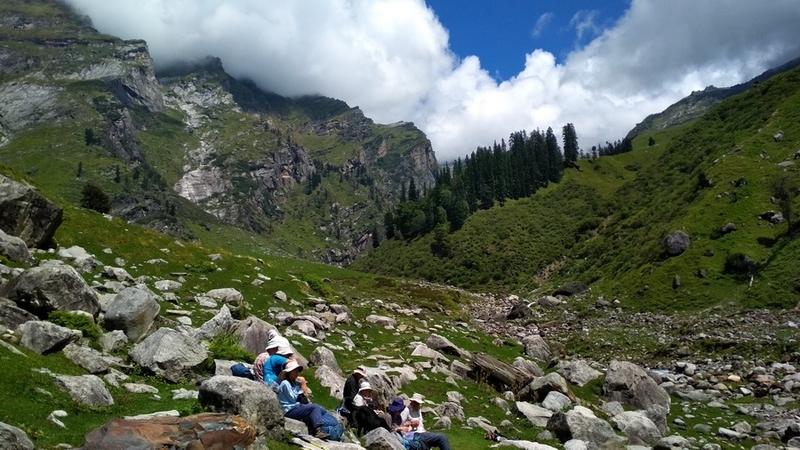 With many short treks in Himachal Hamta pass is consider one of best trek in Manali region. Hamta pass at an altitude of 4270m, located on the eastern most part of Pir Panjal range of Himalayas. 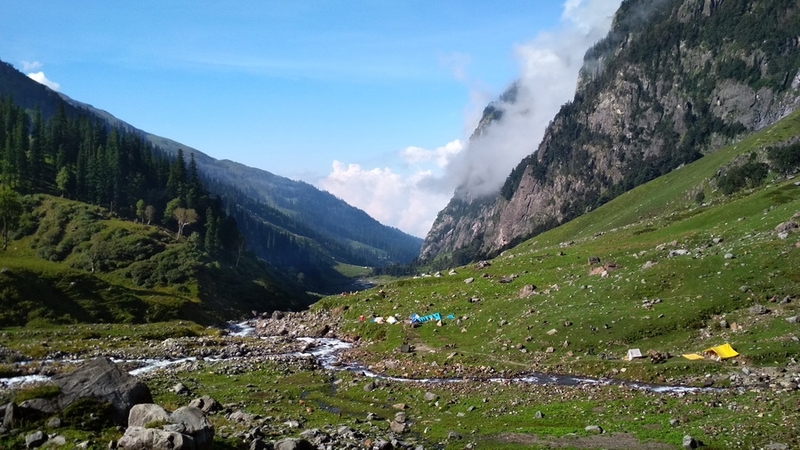 Hamta pass trek is breathtaking but relatively moderate trek that anyone beginner or experience trekkers can do. 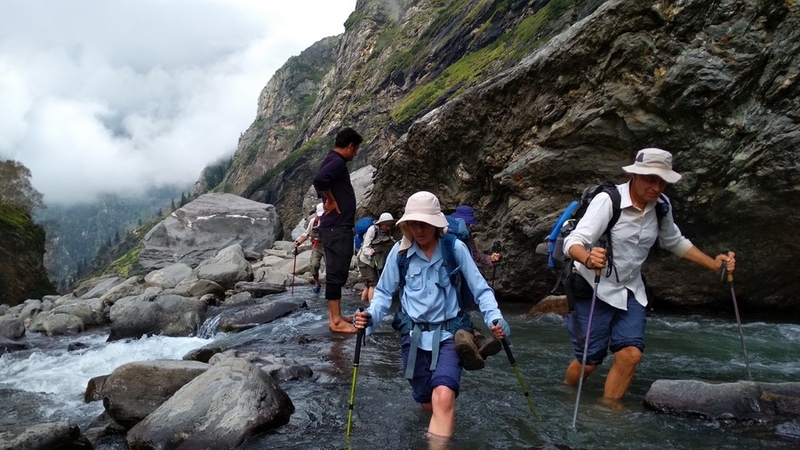 Famed for spectacular Himalayan landscapes that change dramatically as you progress and combining stunning mountain scenery with three or four days of manageable walking. Crossing Hamta pass the landscape changes dramatically from lush green to barren semi dessert of Lahaul & Spiti district of Himachal. 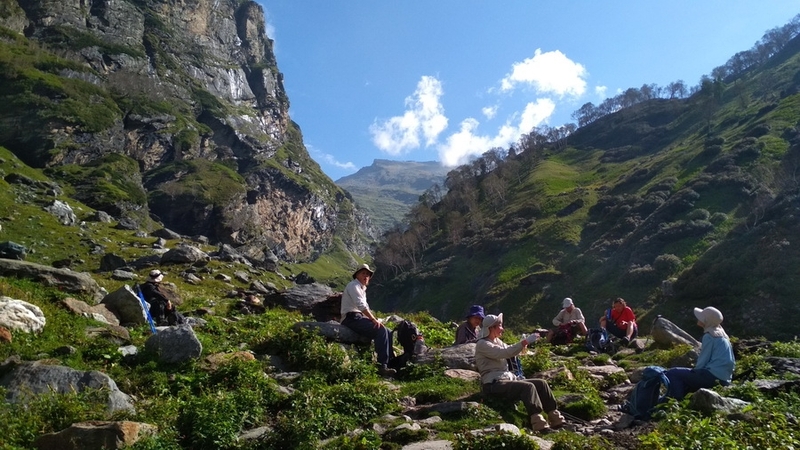 Hamta pass frequently used by Shepherds from remote Kangra region, who goes at higher meadows of Lahaul during summer with their flocks of sheep. 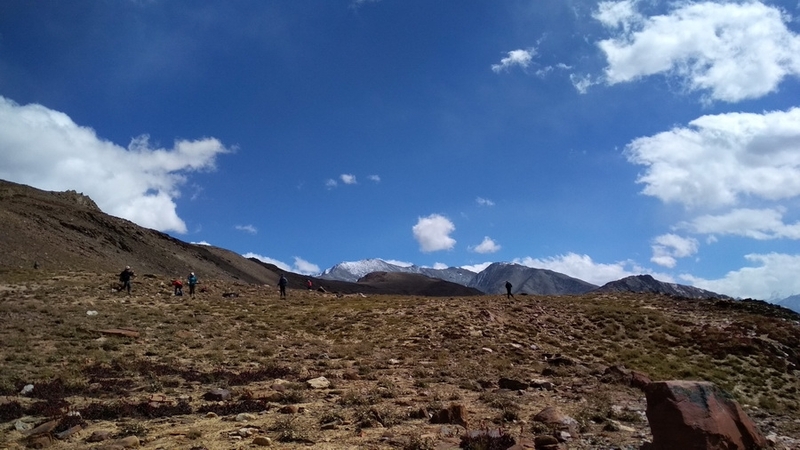 Indrasan and Deo Tibba are two peaks that you will see during Hamta pass crossing. 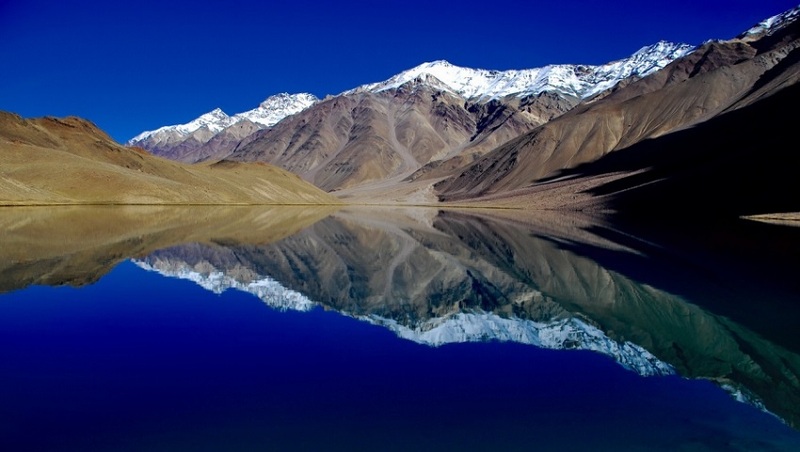 Chandra Tal meaning the Lake of Moon is situated at an altitude of 4270m in the Himalayan region of Lahaul andSpiti. 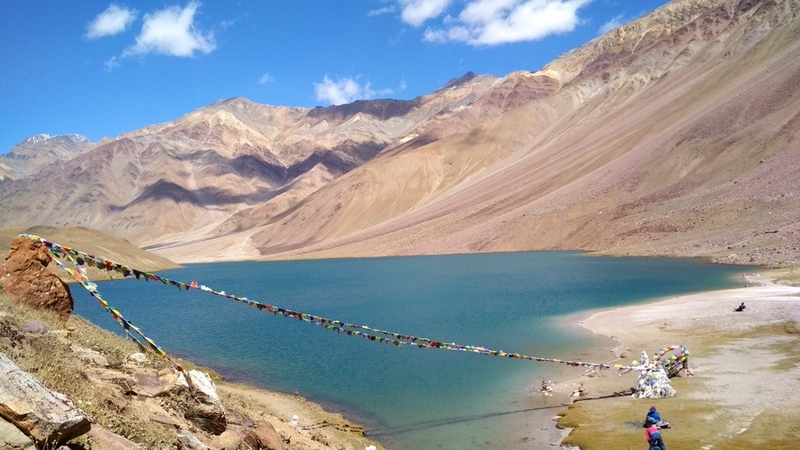 Situated mostly in the part of Spiti. 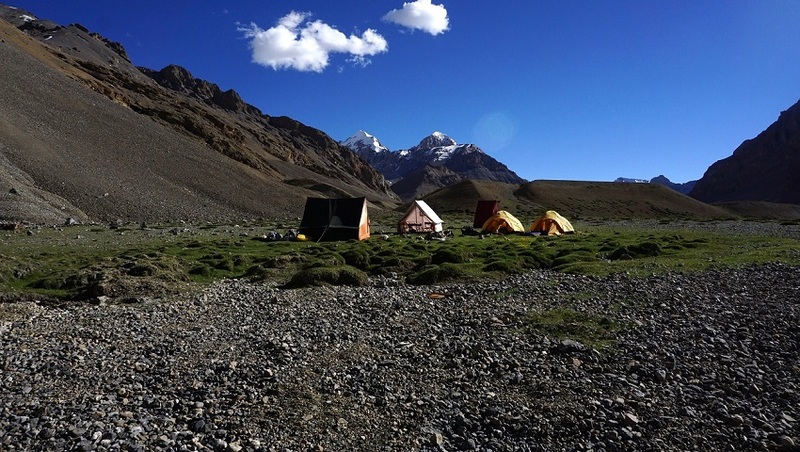 Chandratal is a popular destination for trekkers and campers. 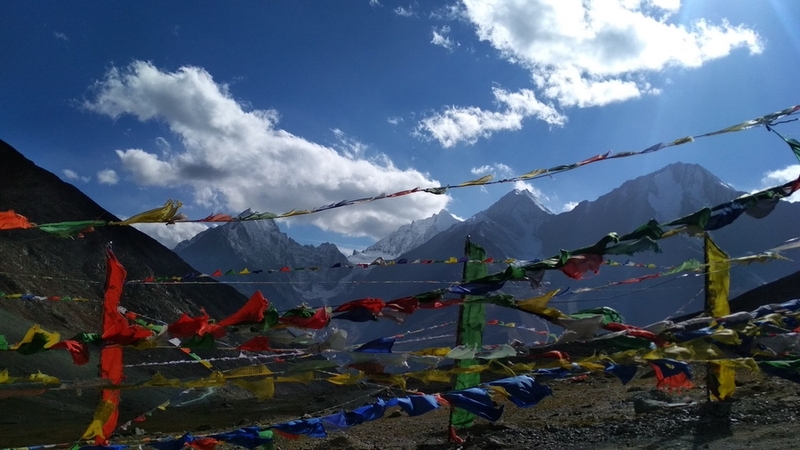 The trail from Kunzum la is more scenic and panoramic overlooking Samudra Tapu glacier, CB peaks, KR group of peak and among all the highest Mulkila peak standing west of Chandratal. It takes only 4 hrs. 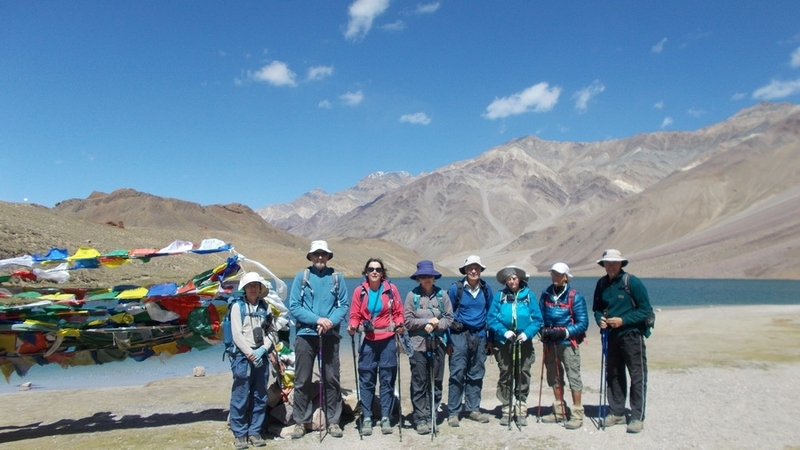 walk from Kunzum to Chandratal Lake. The vast meadows of Lake and its surroundings is favorite summer home for Gaddi Shepherds who graze their flocks in the vicinity of the Lake. The Gaddi shepherds has long held traditional grazing rights in the area. The Lake is also one of the two high altitude wetlands of India which have been designated as Ramsar sites. 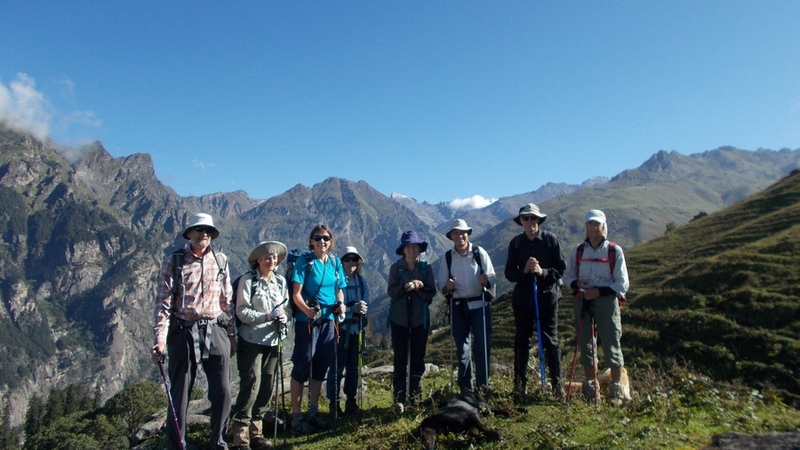 This trekking program, sets out from the Jobri (2900m) in Hamta valley. At the beginning of Hamta valley and ends after arriving at Chandratal (4270m). Beginning to trek from Jobri (2900m) gentle and easy trail through thick silver oak forest, Hamta river to Chikka (3300m), following by small stream before Jwara. Scaling height and leaving Bears den (Balu ka Ghera) behind you cross Hamta pass (4268m). 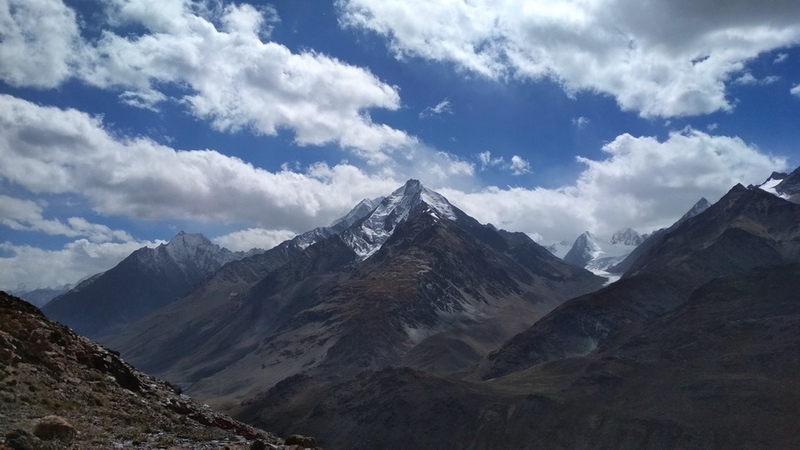 From top of pass one could see peaks of Deo-Tibba (6001m) and Indrasan (6220m). 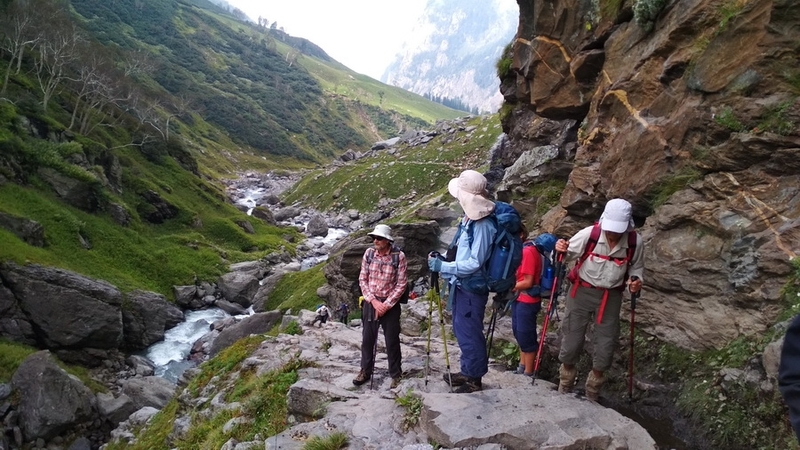 Now trek down to main Chandra valley, after crossing river, following the left bank of Chandra, we cross over the wooden bridge near Chhatru (3100m). Further 45 km on dirt road, driving up to Kunzum La (4551m) having a view of Spiti valley, 8 kms trek down in large meadows, lake of moon approached. Finally on the Kaza - Manali road back to Manali. Today an early departure from Manali, we drive 3 km south of Manali on the left bank of Beas River to Prini village. Continue to drive through the Prini to Hamta and Sethan village. Sethan village is small settlements of early horseman known as Khampas of Tibetan origin. 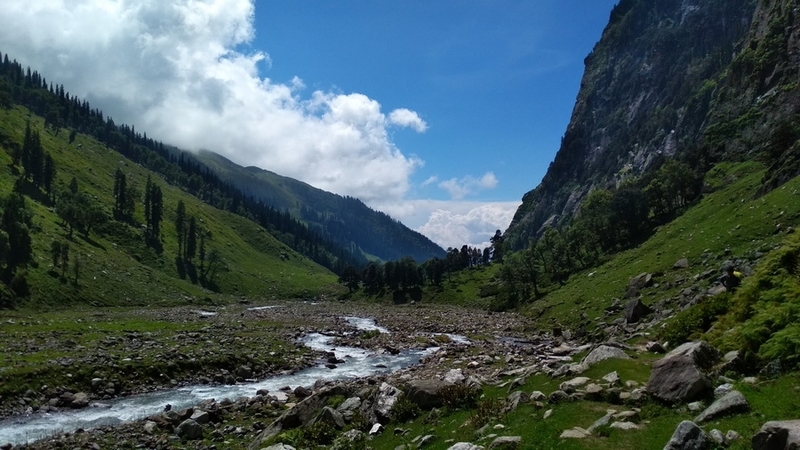 En suite road goes through alpine forest to the Panduropa, Panduropa is known for the small paddy field - where Pandavas of Mahabharata during their exile, spent a part of time in this region and said to be cultivated crops at Panduropa. Continue until reaching Jobri. Our starting point of trek. Leaving Jobri at first crossing of bridge on Jobri nallah. Soon along the left bank for few minutes than along the right bank of Hamta nallah to Chikka. Around Chhika some fantastic view of Rocky Mountains. After crossing the second bridge we climb gently to Jwara for 2 hrs. We will pass beneath the waterfall. The next adventure is going to be a stream crossing just before Jwara. With the help of Guide and if not, with the help of riding horse you may cross the stream. 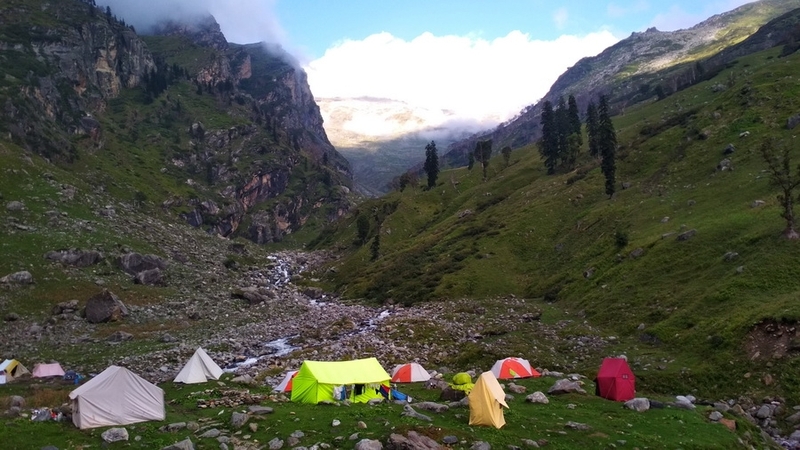 Overnight camp at Jwara meadows. 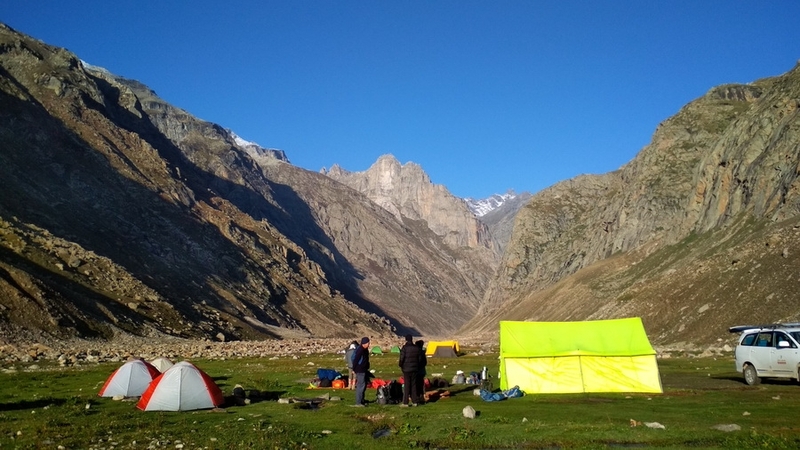 An early departure from camp, as there is long walk today and crossing of Hamta pass. From Jwara trail gently climbs to Balu ka Gera. From where we will have first view of Hamta pass. It’s a beautiful campsite close to crystal clear water. Be aware of Bear in this area by early season trek and late season trek. The area itself is known for Bears Den. A gradual climb begins after Bhalu ka gera. Balu ka Gera that is known for wild flowers, rocks and caves. From Hamta pass fantastic view of Deo Tibba (6001m) and Indrasan (6220m). 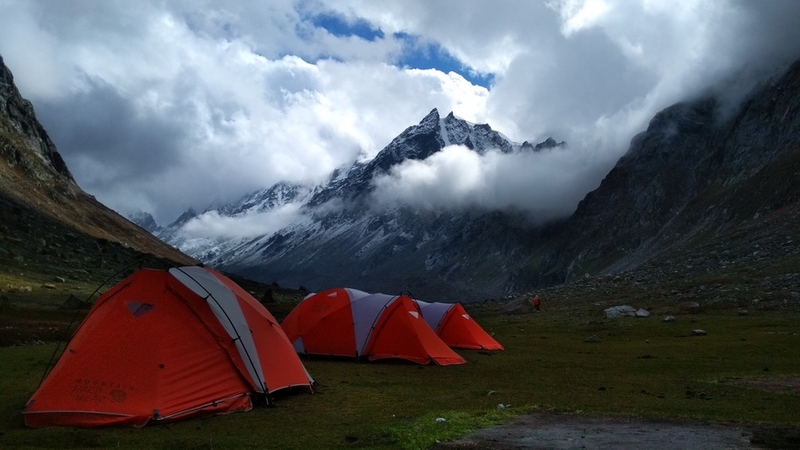 After crossing the Hamta pass steep descent to Shea goru plains for overnight camp. Today we cross-stream near the camp and follow the right bank until it joins with the Chandra River. Again, cross the same stream by small wooden bridge. Now following the left bank of Chandra River. 30 minutes later a motor able bridge to be cross to reach the Chhatru. After some break, we drive from Chhatru to Chota Dara campsite. 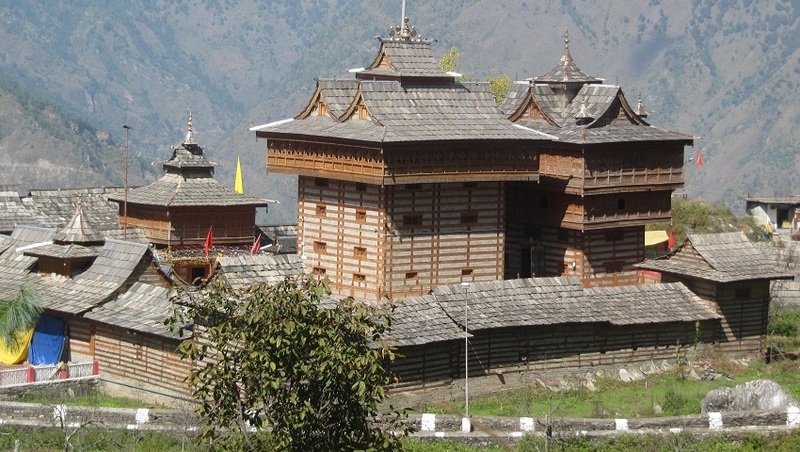 Which is situated along the Chandra River with breathtaking view of Chota Shigri peaks. Leaving Chota Dara behind we drive first along the right bank of Chandra River. 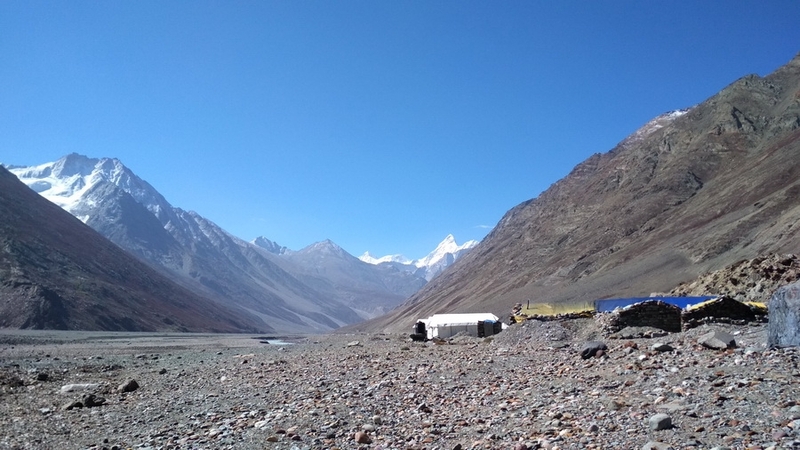 Good view of Bara Shigri glacier on the left side. 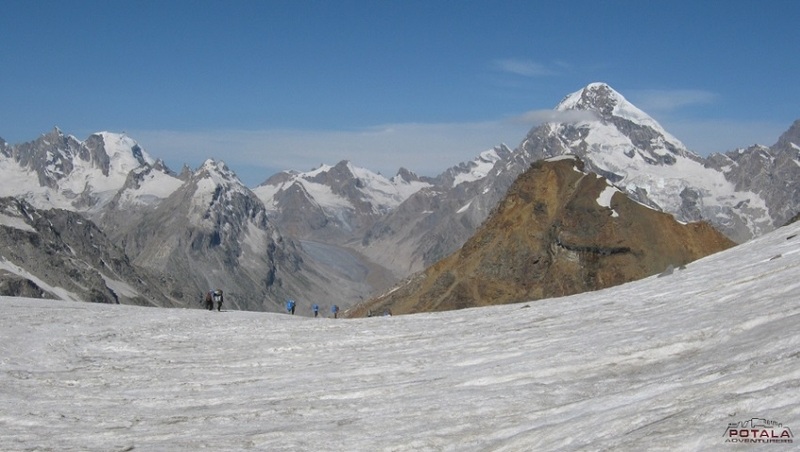 All above the glacier which is 12 km in length longest in Himachal, peaks of White Sail, Shigri Parbat, and Kullu Makalu. Crossing bridge soon after Batal, we drive towards Kunzum la following small stream, which originated above pass. 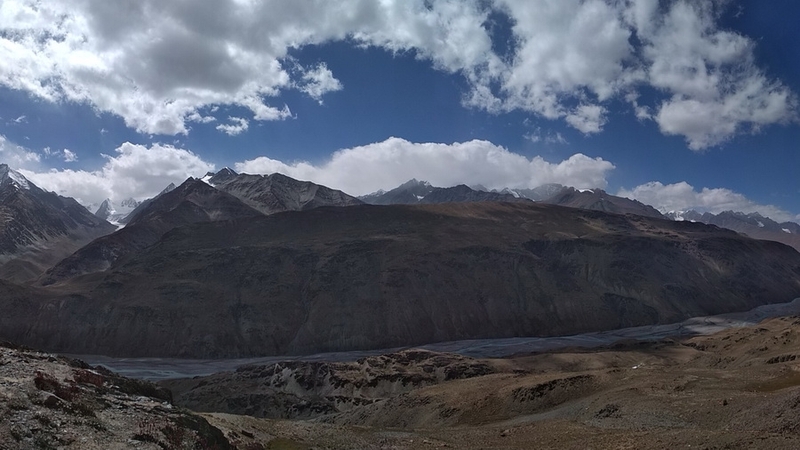 Arriving at pass having a glimpse of Spiti valley, which runs 170 kms towards south. We take a path, which goes to Chandrata. Crossing Palhamo dhar we approach a large meadows - a favorite area with a multitude of shepherd’s huts. Passing and crossing a long stretch of stony ground and small stream we arrive at the lake. Across Chandra river most fascinating sight of Samudra Tapu glacier, North Dakka glacier, South Dakka glacier and Silver glacier. Above the glaciers towering mighty peaks of Moulkila and C.B. peaks. 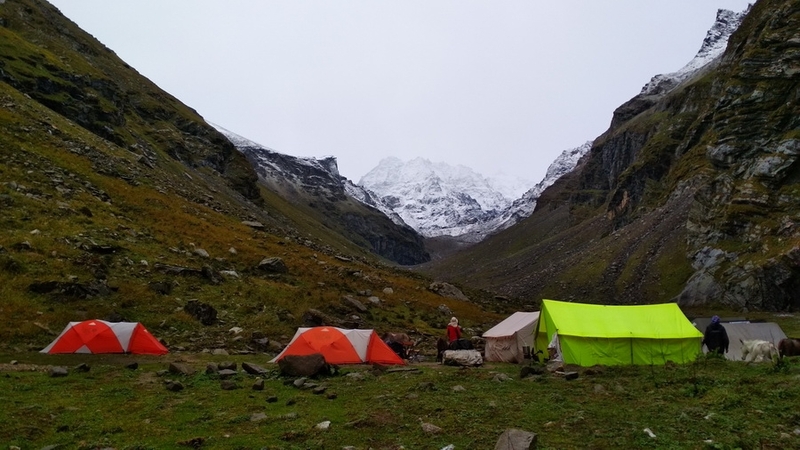 We take a break at lake for an hour or more based on time, than finally we camp at Chandratal (2kms below) or return back to Chota Dara campsite. Based on road & season status. Today leaving Chota Dara or Chandratal we drive back to Chhatru. Crossing Rohtang la back to Manali. Expect to arrive at Manali by 2pm. 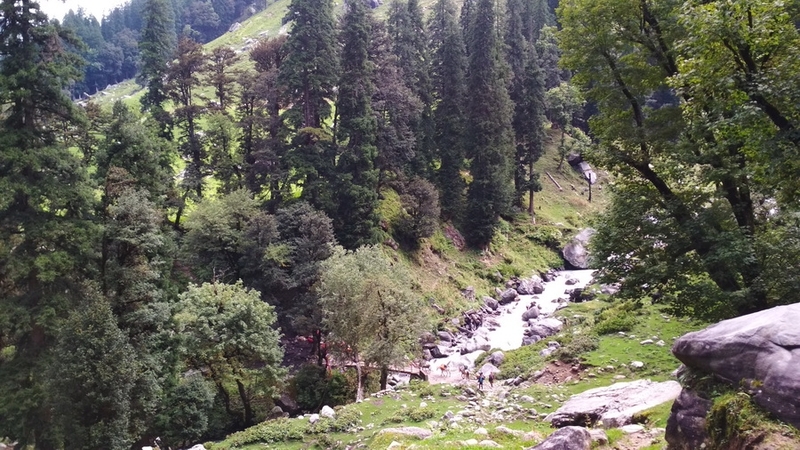 Today an early departure from Manali we drive 3 km south of Manali on the left bank of Beas River to Prini village. Continue to drive through the Prini to Hamta and Sethan village. Sethan village is small settlements of early horseman known as Khampas of Tibetan origin. En suite road goes through alpine forest to the Panduropa Panduropa is known for the small paddy field - where Pandavas of Mahabharata during their exile spent a part of time in this region and said to be cultivated crops at Panduropa. Continue until reaching Jobri. Our starting point of trek. Leaving Jobri at first crossing of bridge on Jobri nallah. Soon along the left bank for few minutes than along the right bank of Hamta nallah to Chikka. Around Chhika some fantastic view of Rocky Mountains. After crossing the second bridge we climb gently to Jwara for 2 hrs. We will pass beneath the waterfall. The next adventure is going to be a stream crossing just before Jwara. With the help of Guide and if not with the help of riding horse you may cross the stream. Overnight camp at Jwara meadows. A gradual climb begins after Bhalu ka gera. Balu ka Gera that is known for wild flowers, rocks and caves. From Hampta pass fantastic view of Deo Tibba (6001m) and Indersan (6220m). After crossing the Hamta pass steep descent to Shea goru plains for overnight camp. An early departure from camp as there is long walk today and crossing of Hamta pass. From Jwara trail gently climbs to Balu ka Gera. From where we will have first view of Hamta pass. It’s a beautiful campsite close to crystal clear water. Be aware of Bear in this area by early season trek and late season trek. The area itself is known for Bears Den. A gradual climb begins after Bhalu ka gera. Balu ka Gera that is known for wild flowers rocks and caves. From Hampta pass fantastic view of Deo Tibba (6001m) and Indersan (6220m). After crossing the Hamta pass steep descent to Shea goru plains for overnight camp. Today we cross-stream near the camp and follow the right bank until it joins with the Chandra River. Again cross the same stream by small wooden bridge. Now following the left bank of Chandra River. 30 minutes later a motor able bridge to be cross to reach the Chhatru. After some break we drive from Chhatru to Chota Dara campsite. Which is situated along the Chandra River with breathtaking view of Chota Shigri peaks. Leaving Chota Dara behind we drive first along the right bank of Chandra River. Good view of Bara Shigri glacier on the left side. All above the glacier which is 12 km in length longest in Himachal peaks of White Sail Shigri Parbat and Kullu Makalu. Crossing bridge soon after Batal we drive towards Kunzum la following small stream which originated above pass. Arriving at pass having a glimpse of Spiti valley which runs 170 kms towards south. We take a path which goes to Chandrata. Crossing Palhamo dhar we approach a large meadows - a favorite area with a multitude of shepherd’s huts. Passing and crossing a long stretch of stony ground and small stream we arrive at the lake. Across Chandra river most fascinating sight of Samudra Tapu glacier North Dakka glacier South Dakka glacier and Silver glacier. Above the glaciers towering mighty peaks of Moulkila and C.B. peaks. 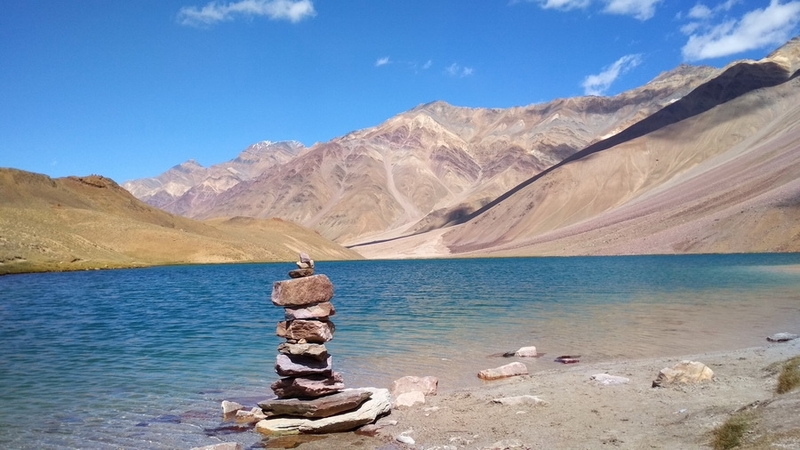 We take a break at lake for an hour or more based on time than finally we camp at Chandratal (2kms below) or return back to Chota Dara campsite. Based on road & season status. ü Pickup from hotel and drop at hotel in Manali. ü All camping facilities: Mess tent, camp chairs and table. ü Accommodation in 4 season tents, sleeping bags, foam mattress, trekking poles & safety gears. 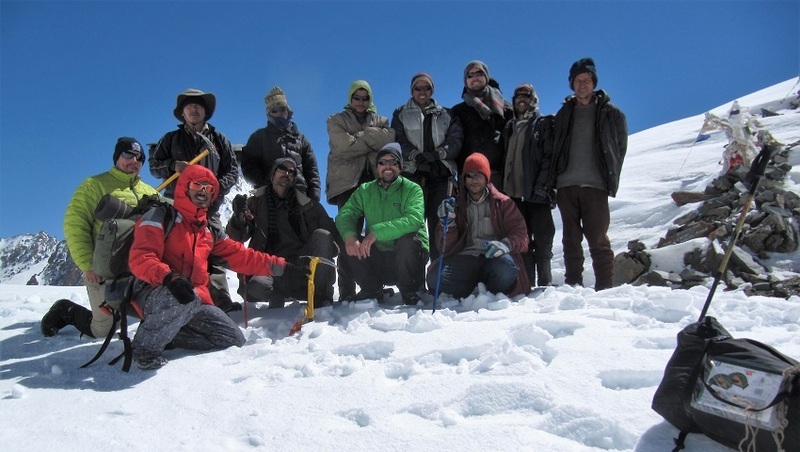 ü Qualified & trained well English speaking trekking guide and experienced crew. 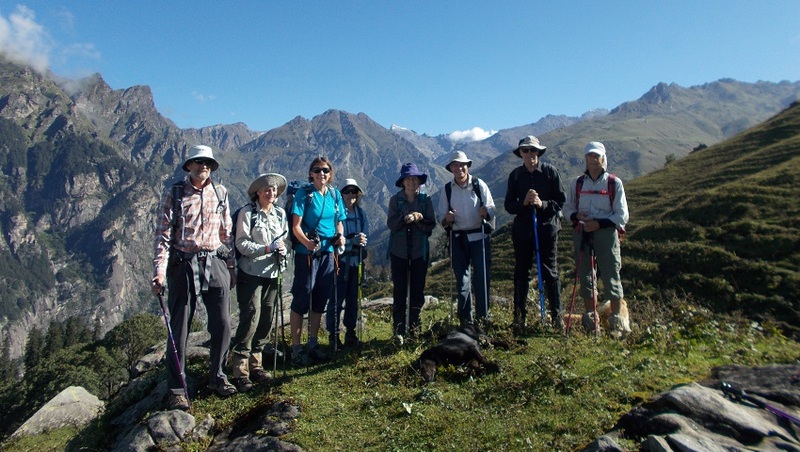 ü Porters or mules for porterage of trekking gear and your baggages. ü Camping fee, trekking permits and park fee.